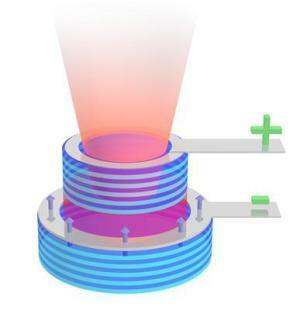 Electrical engineers in Bochum have succeeded in developing a new concept for ultrafast semiconductor lasers. The researchers make clever use of the intrinsic angular momentum of electrons, called spin, to successfully break the previous speed barriers. The new spin lasers have the potential to achieve modulation frequencies of well above 100 GHz in future. This is a decisive step towards high-speed data transmission, e.g. for the Internet of tomorrow.he researchers report on their results in the journal Applied Physics Letters, published by the American Institute of Physics. Optical data transmission by semiconductor lasers is a basic prerequisite for the globally networked world and today’s information society.